Planning to buy a home is a life time decision and one takes all the efforts to get the right property at the right location and make it a safe transaction. Today in this article we are going to discuss the size of the apartment, and the necessary terms attached to it. Carpet area: It means the area of the property that is actually usable, measured wall to wall. This is your personal space and this is where you are going to live and call your home. It is important to note here that terrace (if any) and are generally sold separately at a lower per square feet rate as they are not included in the FSI calculation of the developer. 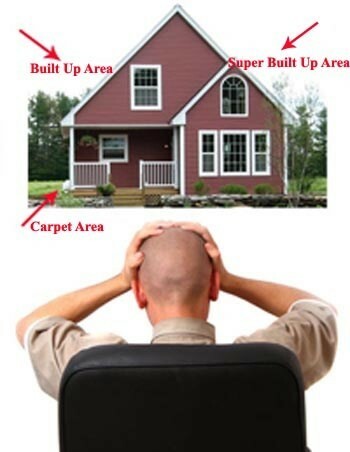 Built up area: The total covered area or the complete size of the apartment is called Built-up area. It is calculated by adding 10% loading factor on carpet area. This area is not important as the developer sells the apartment based on the super built up area, but, this area is important while calculating property tax in many states of India. Super built up area: It is also called saleable area, usable area or sometimes just super area. This area means built up area and adding to it the common areas, such as, lobby, shafts, lifts, stairs etc, that are proportionate to the unit. Sometimes, it may also include the garden, clubhouse, swimming pool that are common to all the residents, but this will be the case only with multi-dwelling units. This entry was posted in News and tagged Property Management Hyderabad, Property verification Services Hyderabad on January 3, 2019 by Venkat Chunduru.